Today marks the release of the latest expansion for Destiny 2, a video game in which players travel through space trying to buy enough shaders to please Bobby Kotick. In the past, Destiny’s expansions have followed a certain familiar rhythm. The Black Armory is very different. 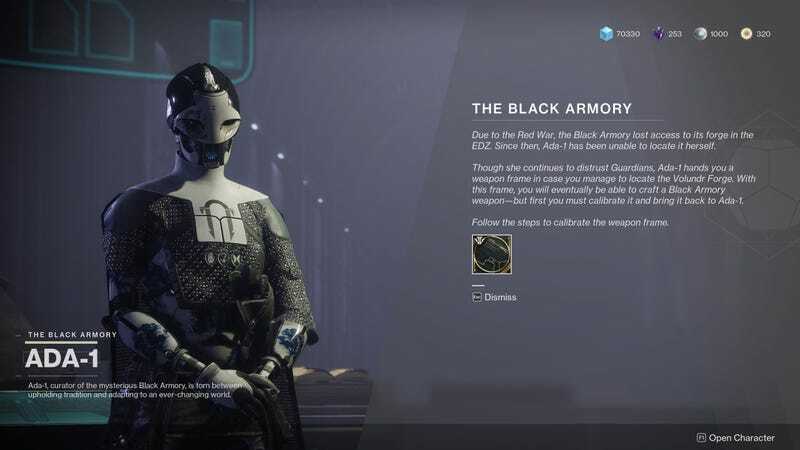 It’s best not to think of The Black Armory as a new DLC in the traditional sense. Rather, it’s a collection of new reasons to keep grinding your way through Vanguard strikes and Gambit matches. If you’re already enjoying Forsaken and you haven’t given up on the grind, you’ll find yourself with plenty of new stuff to do. But if you’re not invested already, The Black Armory probably won’t bring you back.